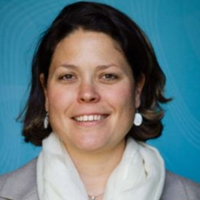 Kendra Dupuy is a political economist focussing on socioeconomic development, with expertise in natural resource management, environmental politics, aid effectiveness, corruption, the education sector, armed conflict, and civil society. She has a strong competence in quantitative and qualitative data collection and analysis, policy advice, and communication of social science research to a variety of audiences. Her area focus is Africa. Dr. Dupuy holds a Ph.D. in political science from the University of Washington, and has worked for and with a number of policy-focussed institutes, including the U4 Anti-Corruption Resource Centre, and Chr. Michelsen Institute, the World Bank, the Natural Resource Governance Institute, and the Human Security Report Project.